Continuous Positive airway pressure (CPAP) therapy is the most common form of treatment for obstructive sleep apnea (OSA). A CPAP machine delivers pressurized air to your throat that prevents your airway from collapsing as you sleep at night. The device consists of three parts: a machine that pressurizes air from the room to your particular pressure needs, a hose to deliver the pressurized air, and a mask or nasal prongs that gently blows the air into your airways. Once you have been diagnosed with obstructive sleep apnea, the next step is finding a machine that works best for you. There are many different manufacturers of CPAP machines, types of machines, and additional features to consider when purchasing the machine that is going to help you through therapy. With so many different options, finding the right machine can be a little overwhelming. At The Alaska Sleep Clinic we want to aid you in your search by giving you helpful tips on selecting a quality CPAP machine to maximize your therapy. While there are many online vendors selling CPAP machines, not all of them may be a trusted or reputable CPAP supply retailer. It's easy to get lured in by their cheap prices, but more difficult to know whether you are getting a fair deal. It's quite possible that you may be sold a used machine that is outside of warranty or one that may need to be serviced soon after purchase. If you choose to go ahead and purchase your machine online, make sure that the retailer you are purchasing from has a certified respiratory therapist to help guide you through your selection process. Your best option for purchasing a CPAP machine (especially if it is your first one) is to go through the sleep clinic that performed your sleep study. Many sleep clinics will have a durable medical equipment (DME) technician on staff to walk you through the buying process. 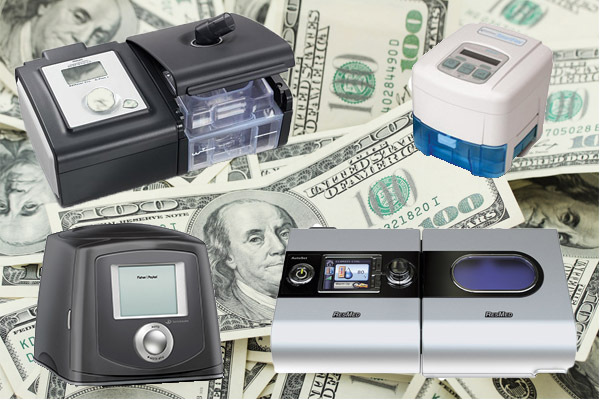 A knowledgeable DME can help you find the best machine for your price range, get you fitted with masks, and give you information on how to use and maintain your CPAP machine. Many clinics offer free mask trials while you're finding the right comfort fit, machine trials to allow you to sample the various CPAP machines, and warranty services to not only help you get your machine repaired, but offer you a loaner machine while you wait for yours to be fixed. Getting a quality machine is probably one of the most important choices to make. You want to make sure that the machine you purchase will work efficiently and consistently every single night. While there are many manufacturers of CPAP machines nowadays, it is paramount that you choose a CPAP machine made by one of the top manufacturers. The two leading CPAP equipment manufacturers are Philips Respironics and Resmed. Both companies have been manufacturing CPAP equipment for the past couple of decades (Respironics started in 1976 and Resmed started in 1989) and have both consistently put out high-quality CPAP machines and accessories. Other reputable CPAP machine manufacturers are: Devilbiss, Puritan Bennett, Fisher and Paykel, and Aeiomed. Mask selection. Finding the perfect mask is the most important aspect of CPAP use compliance. For an in-depth look at how to choose the right CPAP mask click here. Noise. While almost all CPAP machines today are made whisper quiet (below 30 db. ), some are quieter than others. If sound is your issue, make sure to check the decibel levels of each machine. Humidifier. 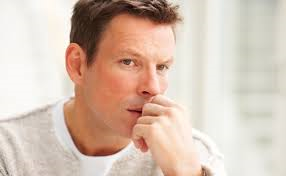 Having air continuously blown into your airways can lead to dry, irritated airways. That's why most CPAP machines now come with an added humidifier rather than as an optional feature. Some machines come with built-in humidifiers while others come as a separate, connecting unit. Having a humidifier that can separate from the machine can come in handy for travel when you don't want to take the entire machine. Portability. If you frequently travel, having a small, lightweight, compact machine may be your best option, or you may want to buy a separate machine for travel purposes. It's also important to check to see if your machine comes with multiple plug-in adapters such as a DC power supply or international plugs, as well as an option to use portable battery. Ramp. When you first put your CPAP mask on at night and turn the machine on, it may be difficult to adapt to the immediate airflow of your pressure settings, especially if you have moderate to severe sleep apnea, which requires relatively high pressure. A ramp is a comfort feature that allows your machine to gradually build-up to the prescribed pressure, making compliance much easier. Exhalation pressure relief. This feature makes it easier to exhale your breath against the incoming pressurized air, making breathing feel more normal and easier. The machine maintains the prescribed air pressure settings during inhalation, but scales them back a bit during exhalation so you don't feel like you're fighting against the incoming air. Heated tubing. A small heating coil is placed in the tubing that connects the machine to the mask, and helps keep the air in the tube at a constant temperature. This feature aids in reducing condensation build-up in the tube and mask, which can lead to moisture dripping onto one's face. Mask On/Off Alert. Some sleepers toss and turn during sleep. When this happens their mask may come off or lose its seal. Some machines have an alert that beeps to wake the sleeper, reminding them that their mask has come loose. Leak Compensation. If your mask is leaking for any reason, machines with this feature can compensate by increasing the airflow to ensure that you are still getting the prescribed pressure at all times. Data Recording. Many machines come with various capabilities of recording data. Some only record information such as how long you used the machine at night, while others are capable of giving much more in-depth information such as: apnea events, hypopnea events, changes in pressure, leak rates, and information on snoring, and more. This information can be used to check daily, weekly, or even monthly averages. Many of the devices allow users to view their personal data information, while others are restricted for clinical viewing only. It's also important to know whether your machine's data is uploaded to a sim-card, which will occasionally need to be brought in to a clinic for viewing, or if it has remote monitoring capabilities wherein a tech can monitor changes in usage remotely. With remote monitoring your technician can make adjustments to your machine, monitor your progress, or alert you when you need new equipment or supplies. At The Alaska Sleep Clinic, we realize that one of the most important aspects to CPAP use compliance is making sure that all CPAP users have the latest, high quality equipment possible, and we want to make sure that you are fully informed as to which machines and masks will help you continue your prescribed therapy.